Sikhs Online was launched in June 2008 by Mann Matharu with a view of bringing Sikh news and historical content into the mainstream media. It has since grown into a recognised online portal and regularly attracts hundreds of visitors per day and has previously collaborated with the BBC, General Medical Council, Channel 4 and various other charitible and non-profit organisations. Unlike the name suggested, Sikhs Online is designed to provide unbiased and research based content. The focus is not necessarily on religious content, however we do publish historical articles which may offer our readers some insight to the Sikh religion. Some of topics covered by Sikhs Online include; Mental Health issues, Punjabi history and heritage, Sikh news and updates. 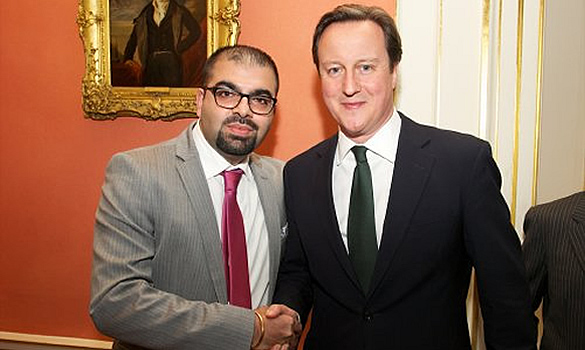 In 2012 and 2013, Mann was invited to 10 Downing Street to meet with the then Prime Minister of the United Kingdom, David Cameron. In the beginning, our main researcher and senior journalist was John Cole. A name we are proud to have associated with the history of Sikhs Online. John, has since retired but the project will not be where it is today without his dedication and support. There are a number of online organisations that have approached Sikhs Online with a view of working more closely together and this is something we will be considering in the near future.